Inspired by the current exhibition, Nikolai Astrup: Painting Norway and bang on trend with the recent BBC programmes about the Art of Scandinavia, the programme features live music, outdoor film screenings, Nordic-inspired craft workshops, film marathons and family events throughout the weekend. During two ‘Scandinights’ on Friday and Saturday evening from 6.30pm visitors can enjoy the spectacular sounds of Norwegian breakthrough artists, Siv Jakobsen (pictured) and Eera who will perform live on-stage in the Gallery grounds. The sets will be followed by outdoor cinema screenings of cult Norwegian film Trollhunter (Friday) and Swedish action thriller Headhunters(Saturday). Scandi street food and drinks will be available throughout the evening and Astrup will be open with guided tours on offer. 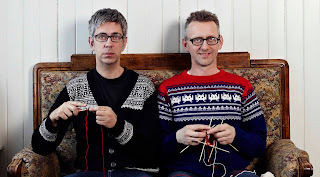 On Thursday evening renowned Norwegian designers, Arne and Carlos will lead a communal ‘crochet-a-thon’. With specialist guidance from the pair, budding knitters can hone their skills on their own projects and contribute to a bespoke large-scale work inspired by Astrup’s colourful landscapes. Other highlights include Rosemåling painting workshops with Norwegian born artist, Bodil Walton, in the gardens and on Sunday a Nordic cinema marathon featuring shorts and award-winning feature-lengths specially curated by the experts from the Nordic Film Festival. Films will include Welcome to Norway,winner of this year's Audience Award at Gothenburg Film Festival. Throughout the weekend between 10am and 5pm visitors can enjoy free entry to the site to peruse a variety of Scandi market stalls in the Gallery grounds selling gifts and homeware. Folk artists Vicki Swan and Jonny Dyer introduce you to the music and instruments of Scandinavia. Norwegian textile artists Arne and Carlos, renowned for their knit and crochet work, lead an evening of communal knitting inspired by Nikolai Astrup. A night of live music, outdoor cinema, food drink and art. 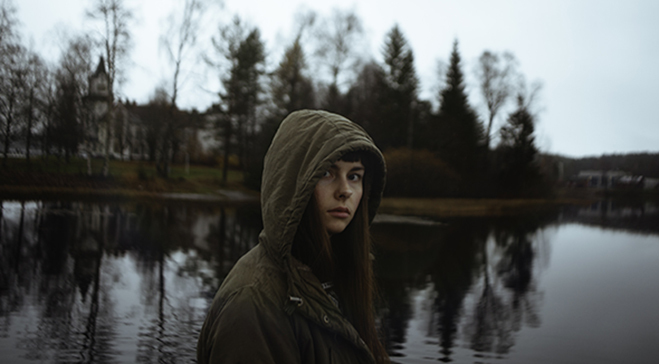 Performances by breakthrough music acts Siv Jakobsen, Eera and more will be followed by an outdoor screening of cult Norwegian film, Trollhunter (2010). Rising music acts Siv Jakobsen, Eera and more are followed by Swedish action thriller Headhunters (2011) in a night of live music, outdoor cinema, food drink and art. Explore how to paint in the traditional Norwegian style with our resident expert, Norwegian born Bodil Walton. A day of Nordic film curated by the Nordic Film Festival featuring shorts and award-winning feature lengths. Sat 14 - Sun 15 May! Family event: Weaving Norwegian Style! A free, exciting workshop for all the family - learn to knit in the traditional Scandinavian style! Shop: a selection of Scandi stalls will set-up shop in the Gallery grounds throughout the weekend.